Peace of mind at the start of the journey when buying a property cannot be underestimated. Ensuring you are in a position to ‘move’ and ‘have your ducks in a row’ could make all the difference in securing your position at the top of the pile when putting in that offer of the perfect property. As a home mover, when you are relying on your property sale to coincide with the offer on your new property, it is advantageous to simplify the process and take out unnecessary hurdles and stumbling blocks to ultimately save you time and make the house buying process as smooth as possible by having your mortgage offering in hand. Additionally, if you are in the position of being a first time buyer, having clarification on what you are eligible to borrow can be invaluable when making your mark on the property ladder. It is in both of these scenarios that a Decision in Principle (DIP) comes into its own. In essence the DIP (also known as a Mortgage Promise or an Agreement In Principle) is a statement or certificate stating the amount a lender is willing to loan an individual (or individuals) based on an initial fact find of their personal circumstances at the time. 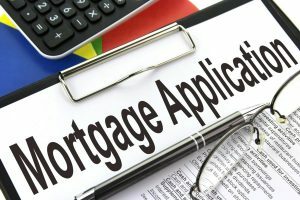 When the time comes that you are ready to proceed with your mortgage application in earnest then having the DIP in place can also rapidly increase the turnover time from application to completion, as many of the required details and information is already in place – but you will still have to complete a full mortgage application at the time of being to proceed (as part of the full application process it is worth noting that any additional information that was not covered as part of the DIP fact find that may negatively influence your final mortgage offer decision will need to be taken into account). We find that the main advantage of having a DIP is the credibility it offers to you as a prospective buyer in the eyes of developers and estate agents, thereby confirming that you can afford the properties you are showing an interest in and not not just ‘tyre kicking’. This is particularly useful in popular areas where the property market moves much quicker than others and agents are selective with the clients they introduce a property to. At One 77, we can generally issue a DIP within 24 hours, which are generally valid for around 90 days. If you are unsure whether or not you require a DIP, or whether it will be advantageous to you. Or indeed, whether you simply require that piece of mind bargaining chip for developers and agents. As always, at One 77 we have access to the majority of the UK mortgage market and are able to give you independent advice and recommendations completely fee free. Also, our service does not end there. Once you have your DIP we will check in with you regularly to see how your search for a property is progressing. Once you have found a property and are ready to progress we will simply pick up from where we left off with the DIP to complete a full mortgage application.